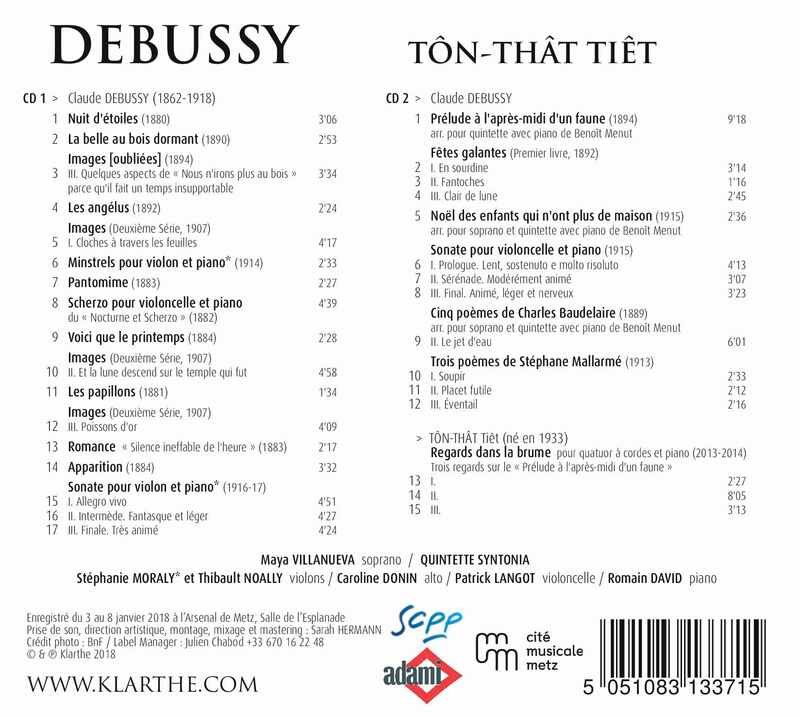 2018 is definitely the Debussy Year! 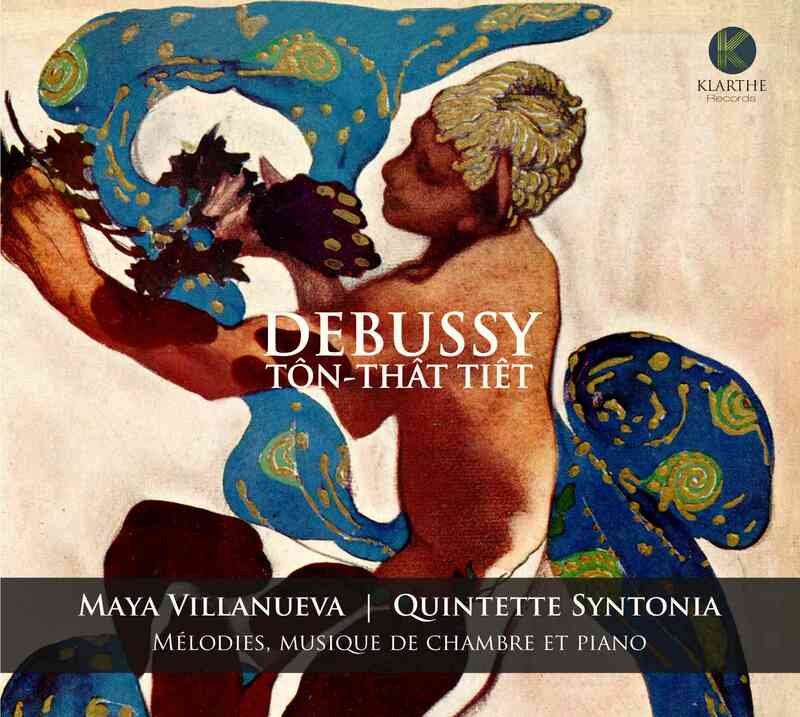 For their second CD ('Ginastera' / 2016, Klarthe Records), soprano Maya Villanueva, pianist Romain David and his partners from Syntonia Quintet paid tribute to him with this double anthology of melodies, piano music and sonatas. This album makes us also discover three previously unreleased transcriptions by Benoît Menut (Grand Prix SACEM 2016, category 'Young Composer'), including his 'Prélude à l’après-midi d’un faune' piano quintet arrangement. As an epilogue, the World Premiere Recording of Tôn-Thât Tiêt's ‘Regards dans la brume (Trois regards sur le Prélude à l'après-midi d'un faune)’, tribute to Debussy‘s timeless masterpiece.